ATTENTION! The site contains information not recommended for minors. We are building an alcoholic drinks company at a national level. Our greatest assets, in which we are investing both money and effort, are our brand portfolio and our distribution system. We are striving to create a brand portfolio that is balanced across the various price segments and to make brands that are genuinely interesting for the consumer. We are building a distribution system with chains and regional distributors based on trust and a focus on long-term partnership. We produce and bottle our entire range in one place — at our own factory in the town of Kingisepp in the Leningrad Region. The plant previously belonged to the company Veda, one of the leaders in the sector. In 2004 the plant was No. 1 in Russia in terms of the volume of alcoholic beverages produced. 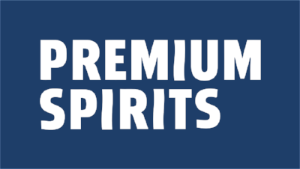 In 2016 the factory was transferred to the ownership of the company Premium Spirits, underwent modernization and was reopened. Its annual production capacity is currently 4.2 million decaliters. We offer an alcoholic beverage production and bottling service under license, to any recipe. 14/02/2018: We are glad to introduce you the results of our staff' work - a new "Flagman". After almost two years of development we released a new updated Flagman. 12/02/2018: In February, the company took part in the largest trade exhibition. We displayed the exhibition stand at the same place as in the year before. The stand was entirely devoted to the brand "Flagman". Prodexpo is special for all who have worked in the FMCG sphere since the early 2000s. It is like the final of an annual sporting competition, only it lasts for a whole working week, from Monday to Friday. Or a large fair. on Russian trains, this is a vodka about the romance of travel and long conversations with friendly fellow travelers. A spirit about women for men, because after all, women in uniform always attract attention. A well-deserved vodka to drink after a hard day's labor. Finished your shift? A man's cooking is direct, sometimes coarse, with the flavor of the outdoors — a concept never exposed before in a vodka. Muzhskaya Kukhnya is a series of vodkas that reveals the male perspective on food.